There hasn't been much good news lately related to the care provided to some of Pennsylvania's most vulnerable residents: Senior citizens. Last year, the national watchdog group Families for Better Care gave Pennsylvania a failing grade when it came to elder abuse and nursing home abuse. A 2016 report by PennLive backed up the claim: An investigative report revealed that out of 259 nursing home deaths from 2013 to 2015, almost 20 percent were caused by avoidable mistakes or negligence. Overall, cases of nursing home abuse are up in the Keystone State—there were more than 20,000 cases of elder abuse reported in 2015 alone. In some counties, the number of abuse cases are increasing at a time when resources to investigate are down. One Pennsylvania county, for example, experienced a 35 percent increase in the number of elder abuse cases in 2015 at a time when financial resources are stagnant. But the elder abuse problem extends well beyond Pennsylvania. 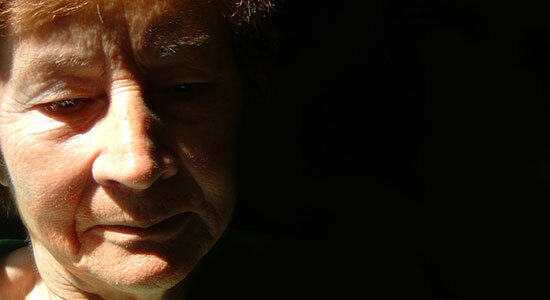 Nationally, there are more cases of elder abuse than child abuse or domestic violence. One in 10 people older than 60 experience some form of abuse. Nearly 50 percent of dementia patients are mistreated by their caregivers. 70 percent of state inspection surveys miss one deficiency related in licensed nursing home facilities, and 15 percent miss instances of actual harm. This past February, Pennsylvania's new attorney general announced a four-point plan to combat the elder abuse epidemic in the Keystone State following the prosecution of a Washington County funeral home director for financial exploitation of elderly clients. Not only will the attorney general's office be working with area agencies to "root out" financial abuse, it will also be partnering with banks to help detect exploitation. A regional financial fraud and identity theft task force is being established, and the protection-from-abuse system will be expanded so that orders can extend to non-family caregivers. The Elder Justice Act, signed into law in 2010, was the first legislation enacted to address the issue of elder abuse. Fortunately, the budget for this initiative has been doubled. In its most recent State Plan on Aging, the Pennsylvania Department of Aging announced that one of its goals would be to implement standardized training for adult protective services investigators. Developing and implementing a standardized curriculum for protective services investigators and intake personnel based on national standards. Expanding and increasing training opportunities. Enhancing and updating outreach and case consultation regarding neglect and financial exploitation of seniors. The nursing home abuse attorneys at Edgar Snyder & Associates are heartened by recent initiatives to protect Pennsylvania's seniors from abuse. While these initiatives should go a long way in combatting instances of abuse, it’s important for the loved ones of nursing home patients to remain vigilant. At Edgar Snyder & Associates, we hope you never have to file an abuse complaint, but if you do, please know that our experienced attorneys are here to help answer all of your legal questions. We're available 24/7—call us today for a free case review. There's never an obligation to use our services and there's never a fee unless we get money for you.